Many years ago, when I first started creating handouts to give to my students, I created a list of the easiest chords for guitar. 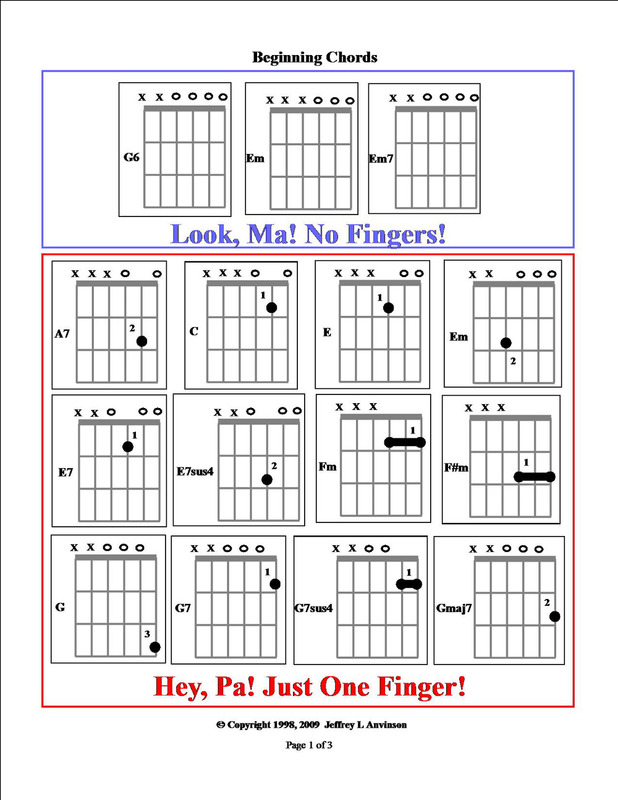 I thought of the simplest chords - ones using only open strings or one finger - then slightly harder but still beginner material - ones requiring two or three fingers. These chords are not only useful for children, they are good for adults, including people with physical disabilities having injured, arthitic, or even amputated fingers. 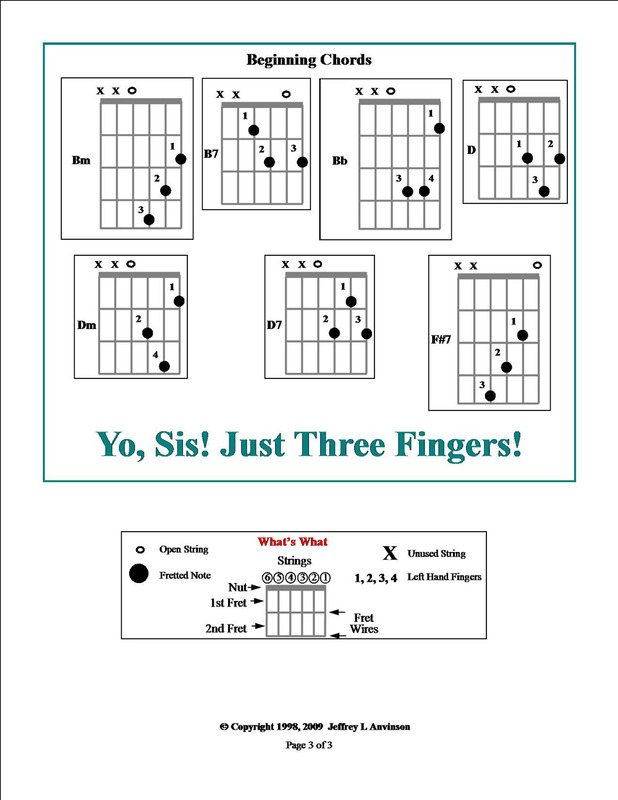 If you're a guitar teacher, they are terrific for introducing chord playing to your students. (Open position two-note power chord are an excellent choice too. They're not on this list, but I'll write an article about them soon.) They will reduce frustration and allow fretting hand finger independence to develop gradually. You can often substitute these easier chords for regular chords, making it simpler to play a song. This is not an exhaustive list, just three pages of chords that are the most used and helpful to beginners. The pages are pictured below. You can also download a pdf version. 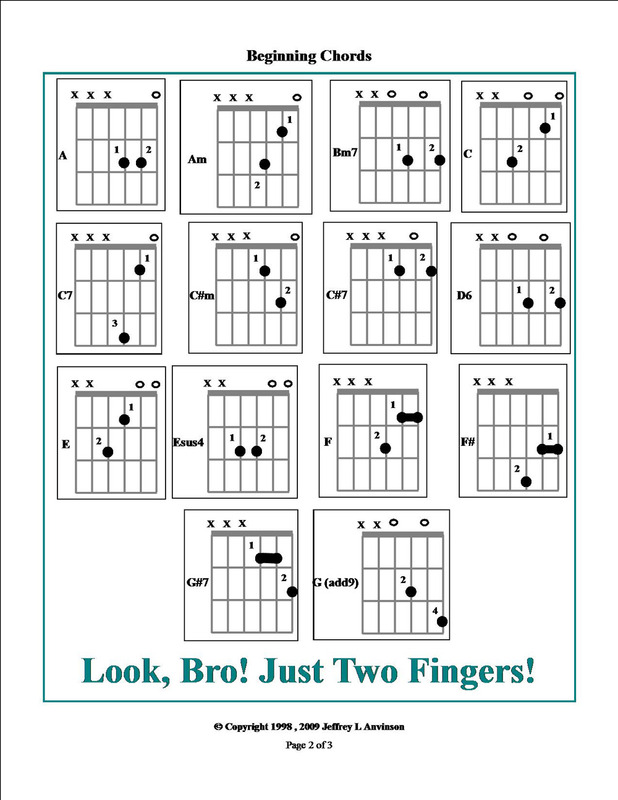 Click here to get a pdf version of the chords shown below. Please don't distribute this pdf by photocopying or posting it on the internet. You may print out one copy for your own use. If you know someone who wants a copy, simply refer them to this website. Please help me protect my intellectual property by respecting my rights.